If you have read my previous blog post Are you tired, moody and struggling to lose weight? then you might remember that eating a fresh whole food diet is one way to support healthy cortisol levels. There are specific nutrients which are needed to support your adrenal glands and they can be depleted when there is chronic stress or we just lead a very busy lifestyle. 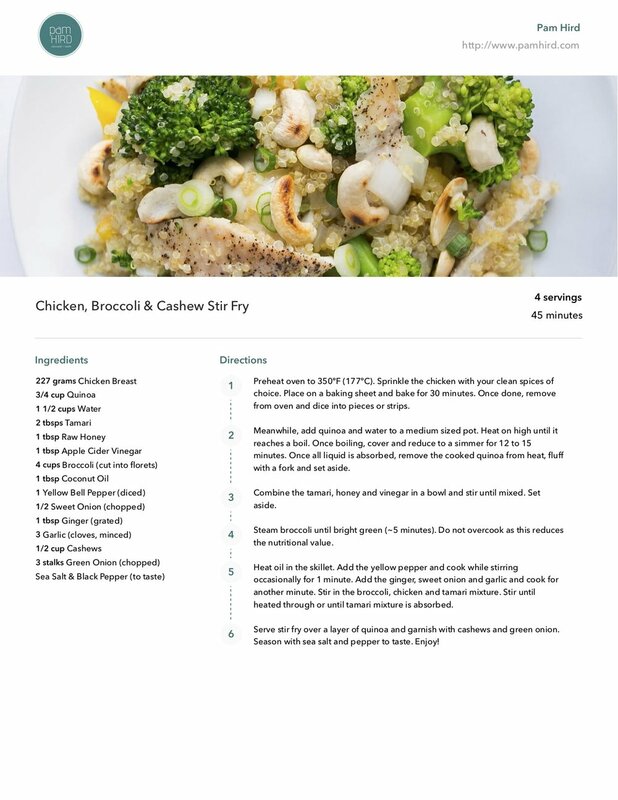 These nutrients include B Vitamins, Magnesium, Zinc and Vitamin C.
This chicken, broccoli and cashew stir fry contains B Vitamins, Magnesium, Zinc and Vitamin C (plus many more nutrients) which will help support you. Enjoy! If you're having trouble with cortisol imbalance and would like more guidance and support to help you feel better, please contact me here as I'd be happy to have a face to face consultant with you if you're in Brisbane, or I also connect with people from around Australia and the world via Skype sessions too.